Address: 3801 S. Las Vegas Blvd. 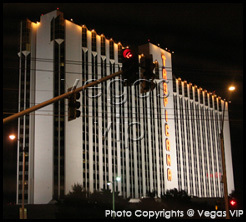 The Tropicana, one of Vegas' most renowned (and affordable!) 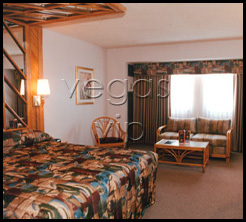 elder casino/hotels, offers the best in entertainment, accommodations and eating. What else is there to look forward to in this town? The Trop's upscale casino and lounges, world-class entertainment including The Comedy Stop, the magic of Dirk Arthur and Las Vegas' longest-running production show, Folies Bergere, proves that the hotel is a major player in the entertainment ring. Other mentionables include the exhibitions visitors have been talking about: Titanic: The Artifact Exhibition and Bodies: The Exhibition. Titanic features actual artifacts from the tragic event and Bodies is a look inside real human bodies, respectfully preserved for both education and entertainment. Other amenities include a gourmet champagne brunch and the first swim-up blackjack table in Vegas, offered from Memorial Day to Labor Day. 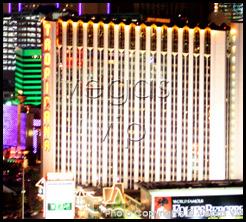 Indeed, there is a lot to see at Tropicana hotel/casino powerhouse.